Align Technology recognizes us as one of the preferred orthodontic offices using Invisalign in Vaughan, ON! Consider Invisalign Express to get the beautiful straight teeth you've always wanted - without braces. A complimentary consultation with Dr. Chen can determine if Invisalign is right for you. He has a special designation as a Preferred Provider from Align Technology, based upon a volume of case experience with Invisalign. Invisalign uses a series of invisible, removable, and comfortable aligners that no one can tell you're wearing. So, you can smile more during treatment as well as after. Invisalign is made with 3-D computer imaging technology and has been proven effective. Invisalign recently announced that is has successfully treated its 1,300,000 patient, including celebrities such as Justin Bieber and Heidi Klum! You wear each set of aligners for about 2 weeks, removing them only to eat, drink, brush, and floss. As you replace each aligner with the next in the series, your teeth will move - little by little, week by week - until they have straightened to the final position Dr. Chen has prescribed. You'll visit Vaughan Orthodontics about once every 6 weeks to ensure that your treatment is progressing as planned. Total treatment time averages 9-15 months and the average number of aligners worn during treatment is between 18 and 30, but both will vary from person to person. Why choose Vaughan,ON Invisalign Orthodontist Dr. Austin Chen? 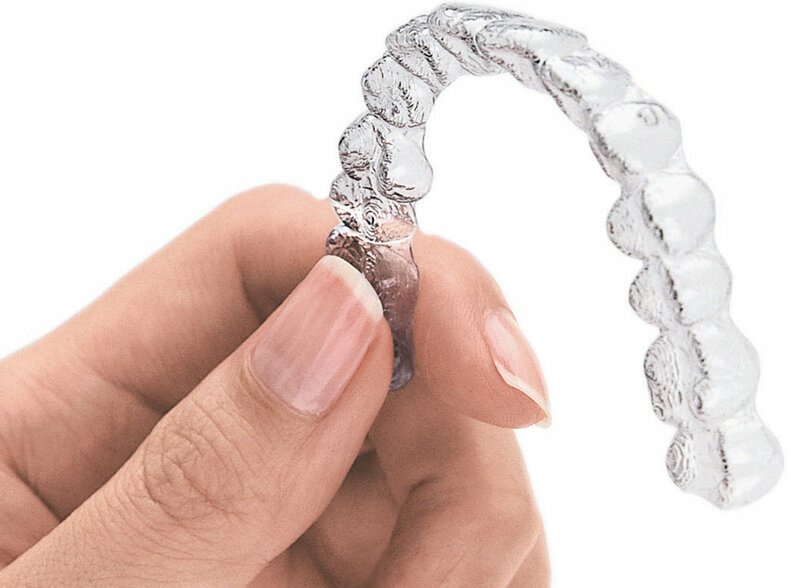 Invisalign should be viewed as a technique, not a product. What sets your Woodbridge and Richmond Hill Invisalign specialist apart is his knowledge and experience, as well as a highly-trained Invisalign team. Dr. Chen works with Invisalign as well as other aesthetic orthodontic options such as ceramic braces, and lingual braces. Local Vaughan dentists, their family, and staff members have chosen Vaughan Orthodontics for their Invisalign treatment. Contact us for your complimentary examination to discover why we are the choice for Invisalign and braces in Vaughan!